The following is about Multi-hole punch multi hole punch machine related Description, I hope to help you better understand Multi-hole punch multi hole punch machine. 1. Round hole plastic bag punching machine with diameter of 1-80mm, suitable for PE, PO, OPP, PVC, PPE, CPE and other plastic bag venting holes, stationery bag food bag hook hole, etc., can break single layer material thickness 0.02mm plastic bag, speed up to 250 times / minute punching machine production plant. 2, butterfly hole punching machine, aircraft hole punching machine, suitable for PE, Po, PP, OPP, PVC, PPE, PPU, CPE and other plastic bag chuck, breathable, pearl film, hook hole, elevator and other products The hole can punch a single layer of 0.02mm plastic bag with a speed of up to 150 times/min. 3, the hand hole punching machine is the hand-pull hole punching machine, suitable for shopping mall shopping bags, rice bags, washing powder bags and all kinds of plastic bags and paper bags that need to be hand-punched. PE, PP, OPP, PO, PVC, PPE, CPE and other materials can break through a single layer of plastic bag with a thickness of 0.02mm. 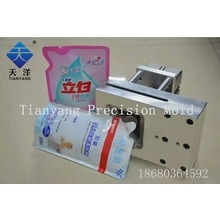 4, according to customer requirements, Tianyang mold production of various shaped holes, multi-mode holes, etc. (such as: album bag supporting R angle, triangular triangle hole punching machine, prismatic, trapezoidal and other angle hole hole punching machine Angle cutting die album hole punching machine, tearing die tearing hole punching machine, 11 hole die, 12 hole die, 27 hole die, 29 hole die, 30 hole die, 37 hole die, 39 hole die, etc. 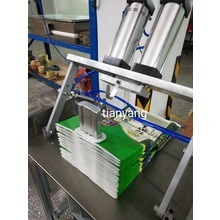 Hole machine, suitable for photo album bag, A4 data bag, white strip bag, CD inner bag, business card bag, medical bag and various paper punching). Can break through a variety of plastic film 0.02MM or more, speed up to 120 times / minute. The company is based on science and technology and scientific and advanced management system to provide customers with high quality products for excellence. Today, we have obtained the ISO90012000 international quality management system certification, and implement it in all aspects. The company's purpose: quality first, reputation first, service first, customer first. The above is the Description for Multi-hole punch multi hole punch machine. If you want to know more about craft hole punch shapes, w hole punch, etc., you can contact us. The following is about Multi-hole punch multi hole punch machine related Parameter, I hope to help you better understand Multi-hole punch multi hole punch machine. If you want to know more Parameter Multi-hole punch multi hole punch machine, or other related circle cut out punch, extra large paper punch…. and other products Parameter,you can contact us. The following is about Multi-hole punch multi hole punch machine related Image, I hope to help you better understand Multi-hole punch multi hole punch machine. If you want to know Multi-hole punch multi hole punch machine, more related products Image, such as hole punch holes, and hole punch shapes set… etc., you can contact us directly. We can provide you with more Multi-hole punch multi hole punch machine, related information, or leaf shaped paper punch, or spiral paper punch… information sent to your e-mail. 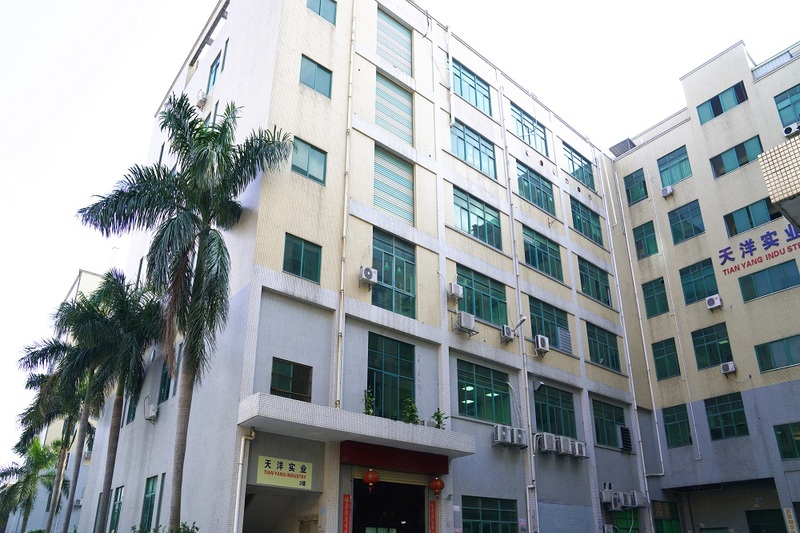 Our factory has more experience in production Multi-hole punch multi hole punch machine，and we can provide multiple types related products, such as four hole paper punch,hole stamp,paper hole punch set,electric paper punch,heavy duty single hole punch for paper,etc. If you want to know more details about these, welcome to contact us. 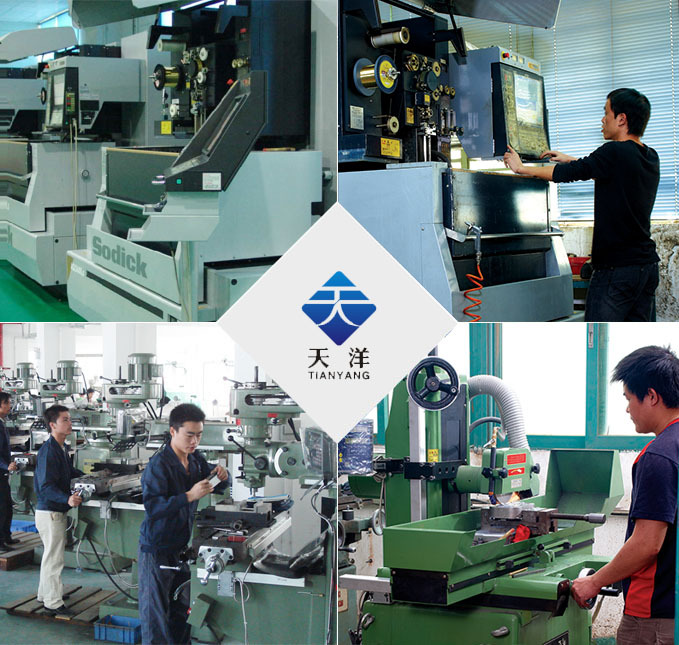 Shenzhen tianyang precision mould Co., LTD. Through market competition to temper, always adhere to the principle of honoring contracts and keeping promise, quality first, service first business philosophy, unite spell side, practical, casting "tianyang" brands, building market platform, formed the Chinese biggest, technology the strongest of pneumatic punching mechanism made one of companies. Has passed the ISO9001:2000 quality certification system. Only development, to survive, only innovation, can grow. Tianyang company will melt technology, resources and manpower capital, and to improve the spirit of innovation, scientific management of guidance, condensing employees, customers the resultant force and solidarity, adhere to the market marketing as a leader, the technical innovation and capital management for wings, and diversified development ideas, continue to become bigger and stronger blunt angry machine products, developing the precision mould products, the realization enterprise rapid great-leap-forward development, and create a tianyang moulds land! 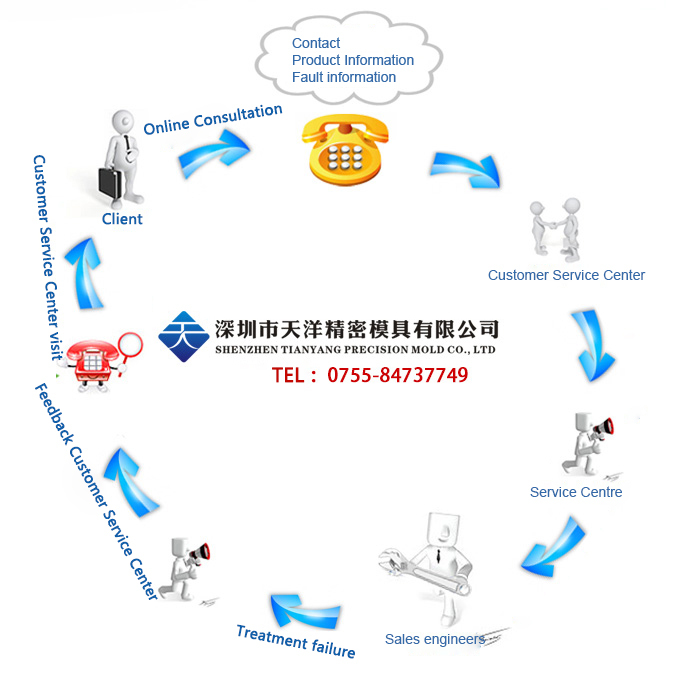 We will continue to: the benefit to the merchants, the true feelings to friends, opportunities for tianyang. Sincerely wish our partners and customers, mutual reciprocity and mutual benefit, collusion development, create brilliant. We have standardization process in production Multi-hole punch multi hole punch machine, and ensuring our product’s quality.We have professional pre-sales team, they can answer your each questions, which are about multi hole paper punch,whole punchers,custom paper hole punch,paper punching machine buy online,craft hole punch shapes,etc.We have hard-working after-sales team, who are providing after-sales service and protection for our clients. 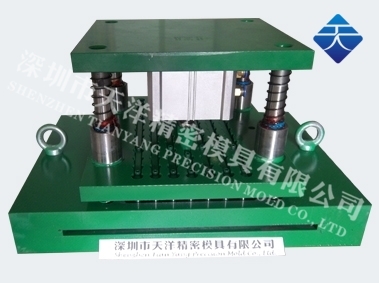 A 、puncher to continue to work, at least once per hour to add the lubricating oil or change new oil once, in order to make the punch and guide set keep lubricant. B、when using, punching machine for residual timely liquidation, especially lower die residue, clean up again after the boot. C、when using, note the punching machine without loosing or ound abnormal phenomena, such as the discovery of issues, timely handling. D、found the punching machine position have offset, cannot use iron knock, can use to glue the hammer. A、 and after use, first put the punching machine looks clean, especially to the punch and lowerdie parts wipe clean. 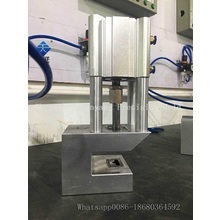 B、on the punch and lower die parts add lubricating oil, will punch press to lowest position, in order to better protect the blade and lower die is not damaged. If you have some problems about Multi-hole punch multi hole punch machine, or want to know more details about w hole punch,circle cut out punch,extra large paper punch,hole punch holes,hole punch shapes set,etc. welcome to contact us! 1、 when the punch using punching Down after pull don't? 2、punching often pull bad plastic plastic bags? A: in not dismantle the punch cases, with alloy file to grind lower die not sharp position or punch grinding blade part number, parallel outcast don't let remain in the above. Looking forward to your inquiry for this Multi-hole punch multi hole punch machine.